"I LOVE YOU" - A Message to You from the Heart of God - Book I of the series "The God Manuscripts - A True Story ... 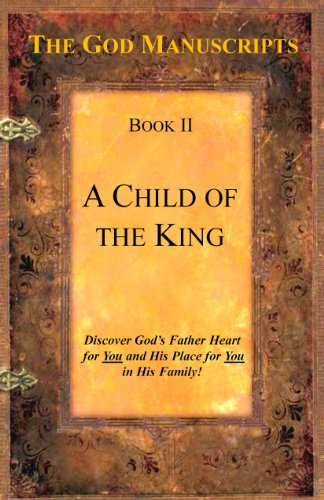 Your Story"
Buy PDF EBook $4.99 - "I LOVE YOU" - A Message to You from the Heart of God - Book I of the series "The God Manuscripts - A True Story ... Your Story"
"How Do I Find God?!?" -What if the answer to that basic life question, one that most of us have asked, is so obvious and so simple that we have looked right past it?
" How can I find God?" Sound familiar? Or how about the related questions ... "How do I know if God really loves me? Why did God let this happen? How do I know if God hears my prayers? How do I know if God cares about what happens to me? Where is God when I need Him? How do I know if God will help me, if He will heal me, if He will deliver me and set me free? Where can I find God? How can I know God's plan for me, for my life, or if He even has a plan for me at all? How do I know if God even knows my name?! Where do I find God? How do I know if God even exists?!" Still sound familiar? Yeah, to me too. So, if God really exists, if He really loves us, if He really wants to help us, then why is it so hard for us to find God? Maybe, just maybe, we have been looking for God in all the wrong places. Maybe we have been asking all the wrong people. Maybe we should just ... ask God. I know, " If I can't find God, how am I supposed to ask Him anything?! What a dumb idea..." I felt the same way, until late one Friday night, all alone in my desperation, I cried out to God ... and He answered me! Not audibly, but very clearly and gently in my heart, "Let me help you, son." "You've never read books like these." What if God sat down and wrote a series of interactive books just for you, to tell you how much He loves you and wants to take care of you, to answer your every question, to provide for your every need, physically, emotionally and spiritually? What if those books contained God's heartfelt message to mankind, to all people of every race and nation? What if The God Manuscripts were those books? “I love you. I don't want you sick or hurt. I don’t want you sad or afraid or fighting or angry. I want to tell you a story about you, your life, the plans I have for you, the dreams I want to share with you, the destiny I have created just for you. You have a unique place in history that is right now. If you will let me, I will help you discover the incredible life I created you to enjoy. The story, your story, begins with Book I, “I LOVE YOU” – A Message to You from the Heart of God, the first book in this timely ground-breaking series, The God Manuscripts. Have you ever had something happen to you that you could not explain, but you knew that God was involved in it in a supernatural way? Something that you wanted to share with others, but you were afraid of what they would think about you? Something that was really so far fetched, so out of the box, that you were afraid that if you told anyone, you would be labeled a “nut case,” “a whack job,” etc.? But something that you knew you just had to share with others because you were “supposed to”, because it could help others, because it happened to you and no one else could tell the story? Even as I write this, my stomach is tightening and churning because I am still worried about what people will think about me, what they will say about me behind my back and to my face. My married daughter recently asked me, “Dad, aren’t you afraid that people will think you’re a whack job?” Yes, I still am. But here goes anyway. I grew up going to church, maybe like you grew up going to your church, temple, synagogue, mosque, or wherever your house of worship was. In fact, I was a preacher’s kid and a missionaries’ kid, so I was taught a lot about God. I could say and do all the “right things”. But I never locked in on what I actually believed and how that should affect who I really was deep down inside. One thing led to another over the years until in my thirties, I was in a deep, dark, desperate place in my life with nowhere to turn but to the only One I knew who could really help me. When I finally gave up trying to pretend to be someone I was not, help came in a powerful, miraculous, life-altering way. In a short time, my questions were answered, my needs were met, and my true desires were fulfilled. But more on that story later in the first section of this book. Years later, I tried several times to write down, to chronicle, my journey in a book in hopes of maybe helping others on their life’s journey. Over the next few months, I tried to begin the book several times, but just couldn't seem to get it started. I would often hear in my mind, as if God were speaking to me, “Tell them My story by telling them your story, so I can tell them their story.” Because of my past, I was reluctant to tell anyone my story, much less put my story in a book for the whole world to see. One day I was sitting at my desk, alone in my law office, struggling with how to start the book, when I heard in my mind: "Son, if you will just pick up a pen and paper and write what you hear, I'll do this for you, and I promise not to embarrass you." So I did just that. I took a pen and a blank yellow legal pad, and I began to write in between appointments and telephone calls. Whenever I got quiet, I could "hear" in my mind, not audibly, but very clearly, about half way into the next sentence of the text. Over the next 3 ½ weeks, as I continued to fill up one blank yellow legal pad after another, first one book, then a second book, then a third book came exactly the same way. I just wrote as quickly as I could, with no plan, no outline, no notes, no preparation, just a pen and blank legal pads. When we transcribed the three handwritten manuscripts, they came out as three separate but related books in a series or trilogy. Each book was exactly nine chapters long, each one within one or two pages of the exact same length as the others, each one with the same format and structure. All three books are written as if God sat down and wrote the books directly to the reader, person-to-person, from God's perspective. You know, I don't really have a good explanation for why or how these three books came as they did. I'm just telling you what happened and how it happened. In fact, I kept the typed manuscripts of Book II and Book III in a file on the floor of my office for almost 2 years because I really didn't know what to do with them. But recently, several people have said to me, "It's time to do something with all three of the books.” These three books have greatly impacted many people. Many have said they heard directly from God, that their lives have been powerfully changed in different ways, both spiritually and emotionally, and even physically in miraculous ways. So we are releasing all three manuscripts for the first time together. The God Manuscripts are merely the typed out versions of the original handwritten manuscripts in the yellow legal pads, with no substantive changes. Are these three books really from God, or are they just the product of my imagination? That’s a question I have struggled with from time to time over the past few years. Many people have repeatedly told me that these books are definitely from God. But I want you to decide for yourself. Just for a moment, let’s assume that these three little books are from God. If they are, then what they appear to be are three little interactive guidebooks, written from God personally to you the reader, on how to meet God person to person, how to talk to Him and hear from Him at any time, how to have your every question answered directly from God, and how to have your every need, physical, emotional, or spiritual, met directly by God. I know. Now you really think I’m a whack job! That’s why I want you to read all three books and decide for yourself. All I can do is tell you the truth about how the books came to be and make them available to you. Please keep in mind that the books are not meant to be just read as a normal book. All three books have interactive sections that you will want to stop and go through as you read. 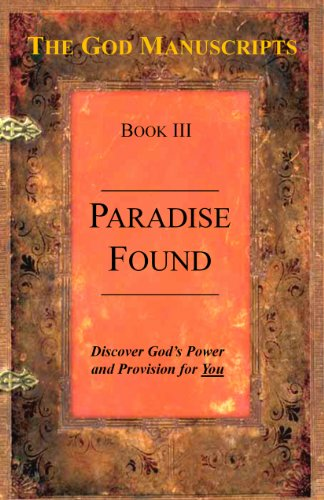 Also, because Book II and Book III build upon the truths and principles contained in each previous book, you will want to read the three books in numerical order – Book I, Book II, and then Book III. Whatever your beliefs about God, let me encourage you to read The God Manuscripts with an open heart and an open mind. If you will, and you take the time to let God speak to you His way, I truly believe that you will be impacted positively in ways that you may have never dreamed were possible.